The Zildjian 20" ZMAC Cymbal Pair is a used demo and shows signs of wear. Z-MAC (Zildjian Multi-Application Cymbals) provide the right sound and projection for a wide variety of educational uses, from the concert hall, on the marching field, to the jazz band. 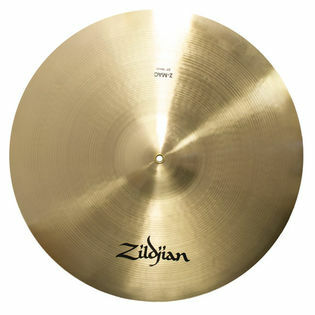 The Zildjian Z-MAC is full, high-pitched, bright and rich in harmonic structure. Pads and Straps not included but may be purchased separately.